This calendar gives a sample of what’s in season in New Jersey, starting in each month of the year. 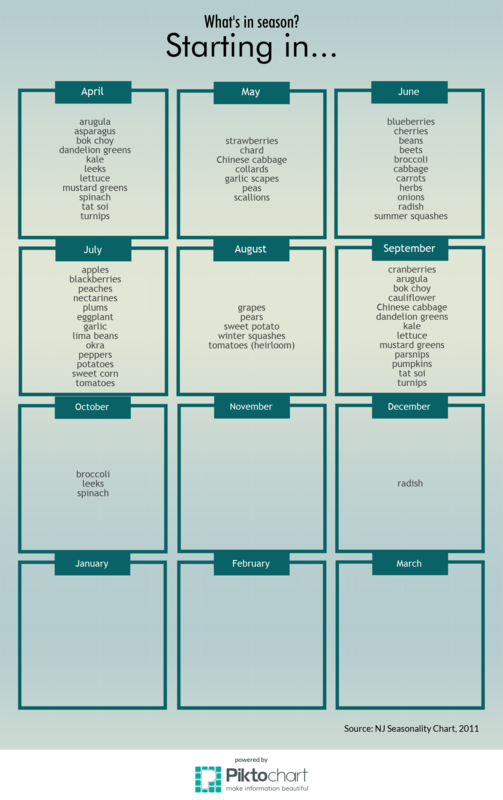 Growing seasons often span multiple months, but the chart shows which month the produce often starts appearing in local farm markets, farm stores, and roadside stands. NJ Seasonality Chart: features length of individual crop growing seasons and provides live links with photos and facts about produce.